Bobby Reid scored his 20th goal of the season as Bristol City kept themselves in the Sky Bet Championship play-off race with a 3-1 victory over Birmingham at Ashton Gate. Marlon Pack fired the Robins in front after 12 minutes with a sweetly-struck right-footed free-kick from 25 yards following a foul by Michael Morrison on Reid. It was 2-0 in the 27th minute as Famara Diedhiou nodded down a Joe Bryan cross into the path of Reid and he hammered home a low drive on the half-volley from 10 yards. Lukas Jutkiewicz put Birmingham back in the game seven minutes later, making room on the right side of the box to beat Frank Fielding at his near post with a low left-footed shot. But Bristol City substitute Matty Taylor settled the outcome with six minutes remaining, sliding to convert Reid's low cross from the right to give his team only their fourth win since Boxing Day. 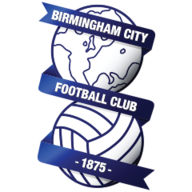 A thrilling first half saw Birmingham create the first chance when Jutkiewicz glanced a header wide from Wes Harding's fifth-minute cross. The visitors might have been ahead at the break had it not been for squandered opportunities. Jeremie Boga failed to beat Fielding one-on-one in the 17th minute, the Bristol City goalkeeper spreading himself to save. Moments later Fielding could only palm out a low Jutkiewicz shot from an angle and Jacques Maghoma put the rebound wide from close range. Milan Djuric volleyed wide for the home side before Reid doubled their lead. But Blues went close again when Jota shot wide having been set-up by Maghoma's low cross. Jutkiewicz deserved his goal and had another effort saved as the half-time whistle brought some respite for players and supporters alike. The atmosphere had been electric from the start, with 1,475 travelling fans playing their part. Birmingham's Harlee Dean was booked after 55 minutes for pushing Diedhiou and from the resulting free-kick 30 yards out, Pack drove narrowly wide. Bristol City almost increased their lead in the 62nd minute when their opponents allowed a Lloyd Kelly long throw from the left to bounce inside their box and Reid headed against the crossbar. At the other end, Jutkiewicz headed wide from a Boga cross when he should have hit the target. Birmingham then sent on Beryly Lubala for Boga and shortly afterwards the substitute was testing Fielding with a deflected shot which was parried for a corner. 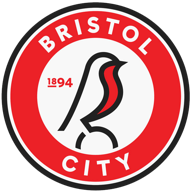 Bristol City sent on winger Callum O'Dowda and Taylor, both back after long injury lay-offs, taking off their two big front-men Diedhiou and Djuric. There were still chances at both ends as Bryan fired just wide for the hosts before Taylor's goal finally took the stuffing out of a battling Birmingham side. Lee Johnson: "We needed to be bold and I think the selection reflected that. But we also required a change of attitude after letting our fans down in the last two games. That was the Bristol City I know and want to see. I am sure some eyebrows were raised by moving our top scorer to the left and asking Joe Bryan to play on the right, but both responded positively. "Bobby has now got 20 goals, which is a terrific personal achievement in his first season as a striker, while Joe had the opportunity to cut in onto his favoured left foot to deliver shots and crosses. We probably need to win at least three of our last four games to make the play-offs, but this could be the result and performance to give us fresh impetus." Garry Monk: "It was an opportunity lost. Bristol won because they were more clinical than us in front of goal. Some of the chances we missed were really clear opportunities. Other results have gone for us and we are in the same position as before the game, with one less match to go. But we don't want to rely on other teams. "We should have got more points from our last two games. We can talk all we like about performances, but at this stage of the season it is results that count. Our striking options have been reduced, but we have to be better in front of goal and it's something we will work on in training this week."